Balochi culture is one of the most interesting cultures which are full of traditions including arts and crafts. 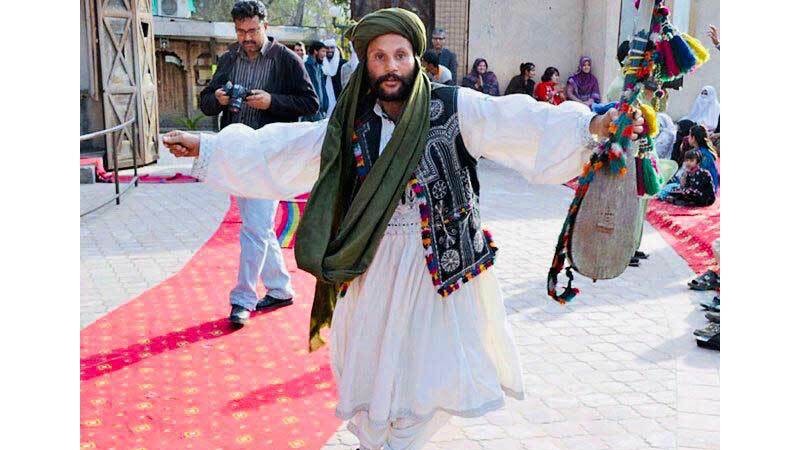 Balochi culture is full of happiness and joys dealing with different designs. It is such a culture which is liked by most of the people in the world and the most interesting part of this culture is its language or mother tongue. Balochi language is the 99th most spoken language in the world. It is one of the toughest languages as well ant it is native to Afghanistan, Iran, Pakistan and UAE. Balochi language is very difficult like those Pashtu and Saraiki and therefore foreign people do a lot of practice to get this language. Balochi language is almost celebrated in most of the countries friend to Pakistan and the love of Balochistan. 2nd March is the day for the people of Balochistan which desires of peace and love for the entire nation including the entire world. There had been several sacrifices for the survival of this language from the respective personalities like Sayad Zahoor Shah Hashmi and Waja Saba Dashtyari. They worked hard for their language which today is alive only because of their commitments and struggles. Similarly, so many people have contributed in this era for the language of Balochi and the love for the nation. Apart from the language, Baloch dressing is also one of the most interesting things in the culture and tradition of the province. Each nation has its own culture and the style of dressing and therefore, Baloch dressing is entirely different from them. Apart from the language, Balochi dressing is also one of the most interesting things in the culture and tradition of the province. Each nation has its own culture and the style of dressing and therefore, Balochi dressing is entirely different from them. Like Pakistan’s national cloth, it has shalwar and kamiz, but its provinces have different clothes and on the other hand, Baloch women carry big chaadars with their clothes in various designs. The clothes that we females wear, having big pockets known as “phindool”, and the men do take a Turban with a long shalwar. Raees, Rind, Lashari, Marri, Jamot, Ahmedzai, Gichki, Sanjarani, Nosherwani and Bugti etc are some of the big castes of the Baloch people. However, the high caste people are Sardar, Malik, Takari and Mir.